The majority of our tutors are from Oxford or Cambridge University, which gives them a unique advantage over other tutors. Not only will your tutor be one of the top graduates in the country, he/she will have been tutored by the leading mathematicians in the world, and now they want to pass that on. Your maths tutor is likely to be a maths graduate, or have a science degree with a strong maths element, such as engineering, biochemistry or even economics. This interest in the subject also means they keep up with recent changes to the maths GCSE including the new 1-9 grading system, and the differences between the popular examining boards such as Edexcel, AQA and OCR. The value of an Oxbridge education is that our tutors have such a deep understanding of each topic, and a breadth of knowledge across the whole of mathematics. Whether the topic is statistics, geometry, algebra or anything on the GCSE syllabus, your tutor will be an expert, and will communicate their passion and enthusiasm for maths. It's quite likely that your tutor will be studying towards a postgraduate degree or in a job which uses maths, such as an engineer or researcher, and he/she will be able to show how maths is used in the real world, and the value of studying it. 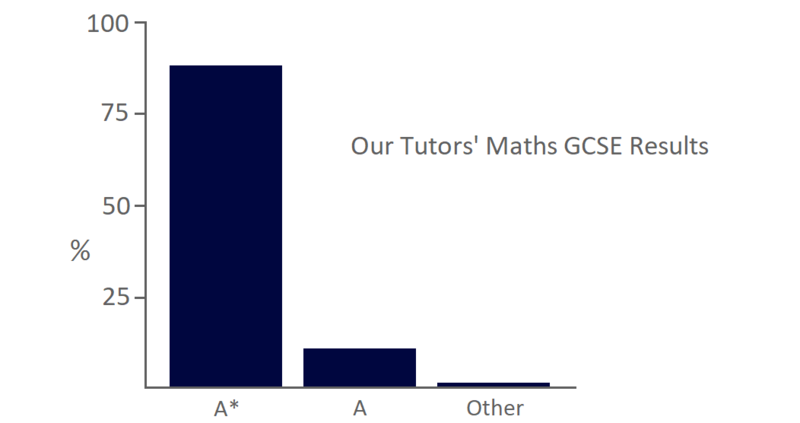 Our maths tutors come from a range of backgrounds, but the one thing which ties them all together is their exceptional flair for academia. Our goal is to find a tutor who will build a rapport with your son or daughter to make the lessons genuinely enjoyable as well as effective. We want our students to see their tutor as a role model; someone to guide them towards their GCSE success.